The Art of Elysium, a non-profit 501© (3) organization founded in 1997, encourages working actors, artists and musicians to voluntarily dedicate their time and talent to children who are battling serious medical conditions. They provide artistic workshops in the following disciplines: acting, art, comedy, fashion, music, radio, songwriting and creative writing. The Harriet Buhai Center for Family Law works to “protect victims of domestic violence and improve the well-being of children living in poverty.” The Center has provided family law and domestic violence assistance for low-income Californians since 1986. Judith R. Forman is chair of the Center’s Advisory Council. 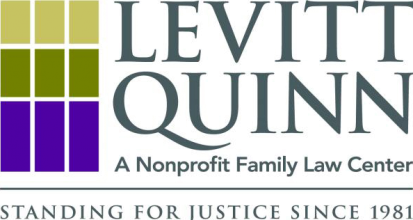 Levitt Quinn Family Law Center provides family law legal services for poor and low-income people who otherwise have nowhere else to go. Our attorneys provide legal representation at court hearings and trials; and provide legal advice and counsel in cases impacting the safety and well being of children. Venice Family Clinic’s mission is to provide quality primary health care to people in need. Founded in 1970 by Phillip Rossman, MD, and co-founder Mayer B. Davidson, MD, it has grown from a small storefront operation into a community health system with seven clinic sites in Venice, Santa Monica, Inglewood, Mar Vista, and Culver City.